My very first trip in the USA ! 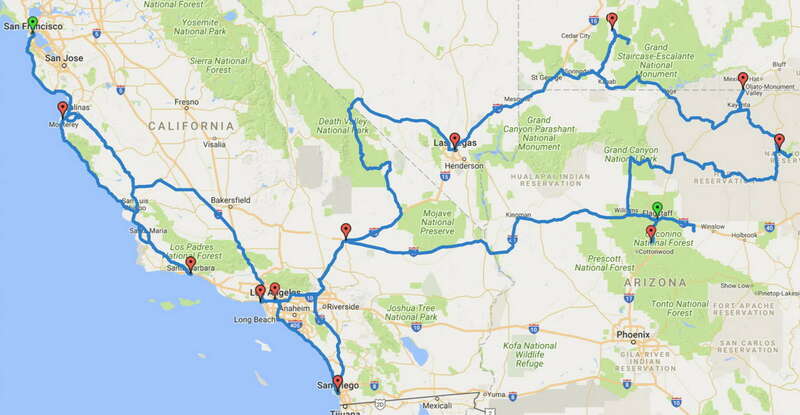 I started with a very typical trip in the West : from San Francisco then south, along the coast on the Scenic 1, stopping by at famous places like Monterey, and then a big O ring inland, through the deserts and parks, for then finishing the trip at Los Angeles. It was the first of other trips to come, but for sure very special in its own way. Use the navigation tree to the left to browse through this vacation diary. From there you can see the report of each day of the vacation, and you also have other options to navigate to other vacations.